2012 Immaculate throughout and with Only 10,700 miles from New and FSH. Located in Portsmouth. The Lounge area is much bigger than most and has a Generous side sofa, a forward facing seat and a total of 3 belted seats, giving a total of 5 belted seats. 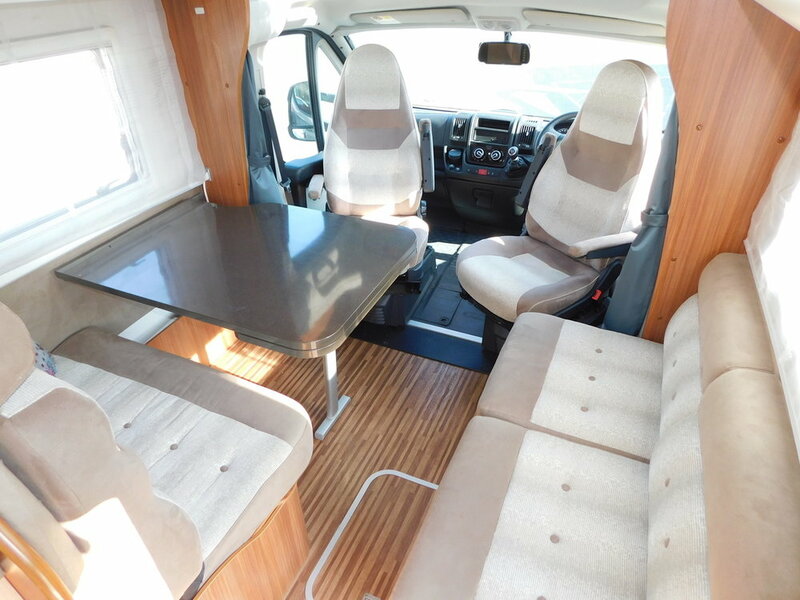 The large dining table has a pull out leaf extension to enable 6 people to dine in comfort when you swivel the two front seats. The Lounge will easily convert into a Large Double Bed. Above the Lounge is a really comfortable pull down Double Bed. In addition we have another Large double at the rear which is above the great sized Garage. The Garage is big enough to house a Scooter and measures 113cm High x 142cm Deep x 215cm Wide. The Kitchen is an L Shape and includes a Large Fridge with a bigger than average Freezer compartment. There is an Oven, Grill and 4 burner gas hob, sink and a built in bin plus plenty of worktop space. The Wash room has a Toilet with a Thetford cassette and a Shower with a Perspex sliding shower door to keep thing dry in the rest of the room. There is also a generous wash basin and great lighting. 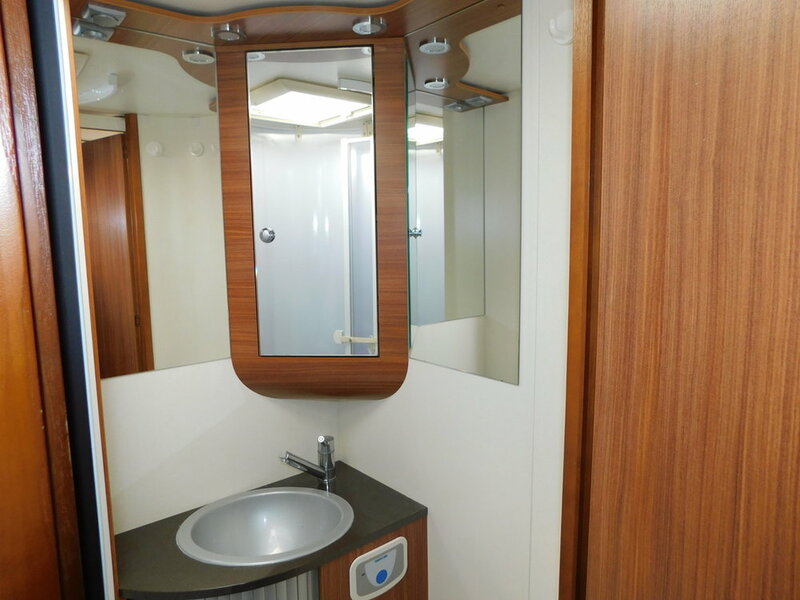 We have LED lighting throughout the Motorhome, some of which you can colour change. 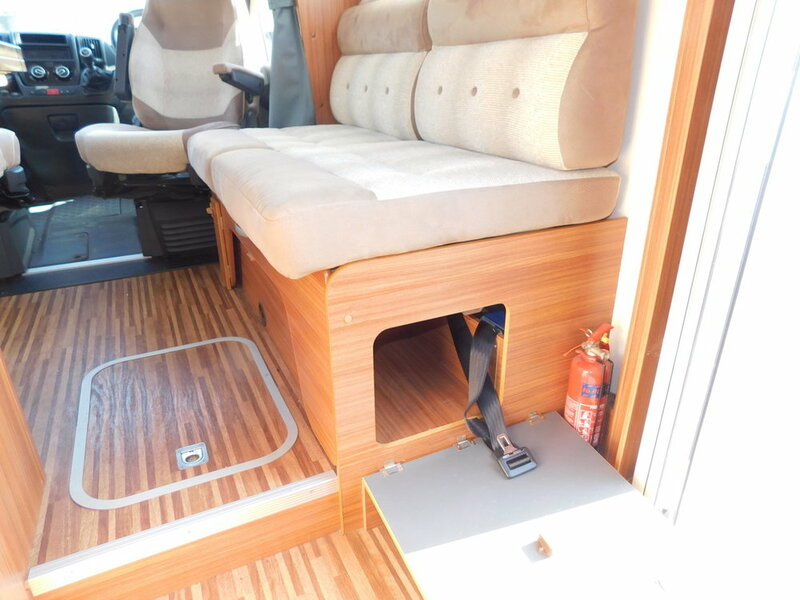 The cab includes Air Conditioning as well as electric door mirrors and windows. There is the bonus of a Twin Lense Colour Reversing Camera. There is Central Heating and Hot water operated by either Gas, Electric or both. 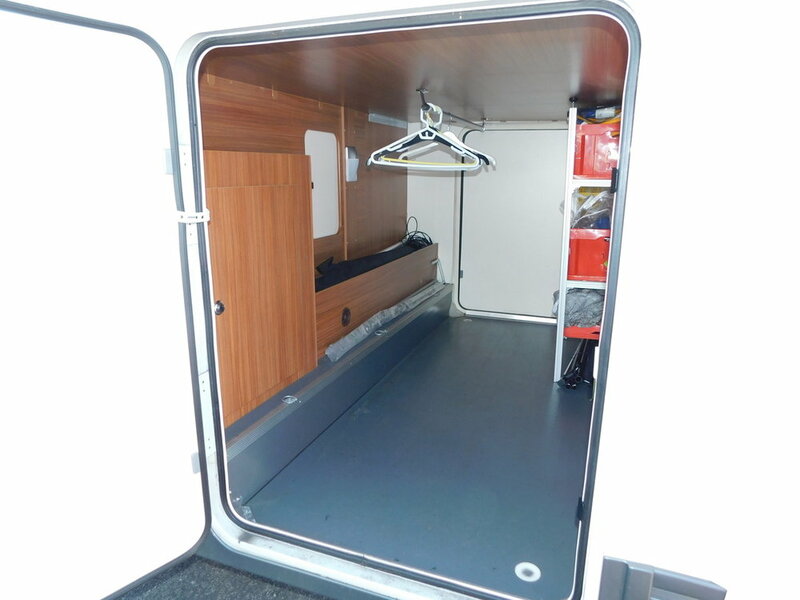 On the outside we have a Rollout 4m Fiamma Awning and the Privacy, or Safari room which attaches is Included and easily stores in the Garage. At the rear as well as the Camera there are also built in Reverse Parking Sensors. Mounted on the roof we have Solar Panels to keep the Leisure Battery charged. We also have a roof mounted Status TV Aerial, and there is an Avtex 12v and 230v TV fitted on a bracket in the Lounge area. This has a plated weight of 3,500 kgs, so can be driven by drivers of all ages. 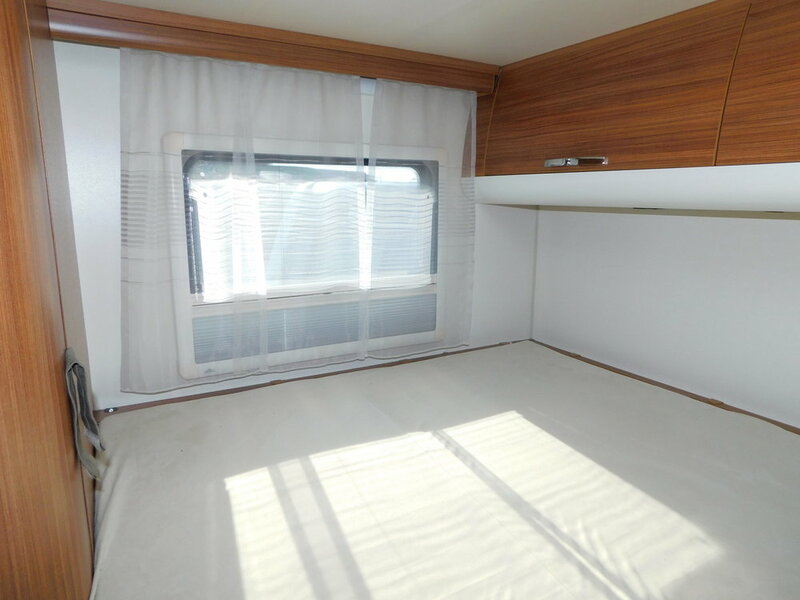 I believe that the first to see will buy, as this is a Most Desirable Motorhome in Beautiful Condition. I would be happy to consider any Part Exchange. Please give myself Stephen Delaney a call on 023 8214 8703 to discuss further and to arrange an appointment to view.